In the week before ShabbatUK, this community organised a landmark learning event called ‘Stanmore 220’. 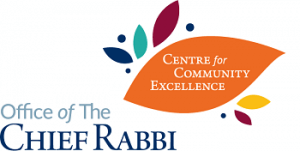 Attendees signed up to hear talks addressing different aspects of Shabbat, with seven guest speakers presenting a rich array of topics to over 170 people at seven homes. Following a large community Challah Make, the big weekend itself consisted of a Friday Night Dinner with over 300 attendees, a buffet lunch with Rabbi Tatz speaking and a firework display after Havdalah.